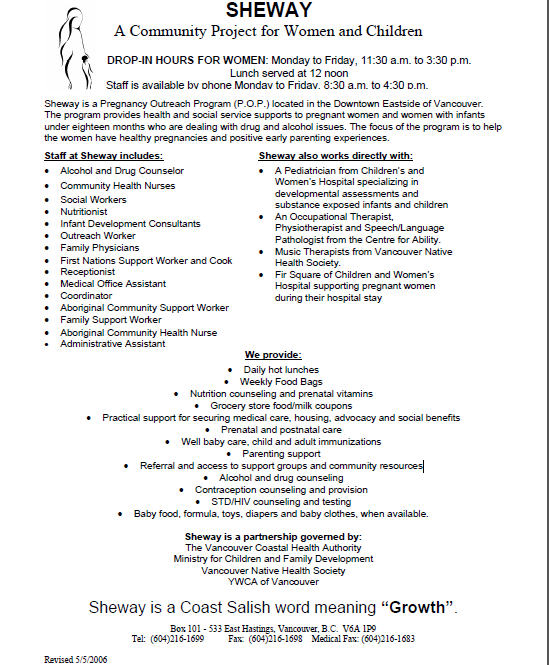 DROP-IN HOURS FOR WOMEN: Monday to Friday, 11:30 a.m. to 3:30 p.m.
Staff is available by phone Monday to Friday, 8:30 a.m. to 4:30 p.m.
Sheway is a Pregnancy Outreach Program (P.O.P.) located in the Downtown Eastside of Vancouver. the women have healthy pregnancies and positive early parenting experiences. • An Occupational Therapist, Physiotherapist and Speech/Language Pathologist from the Centre for Ability. • Music Therapists from Vancouver NativeHealth Society. • Baby food, formula, toys, diapers and baby clothes, when available. 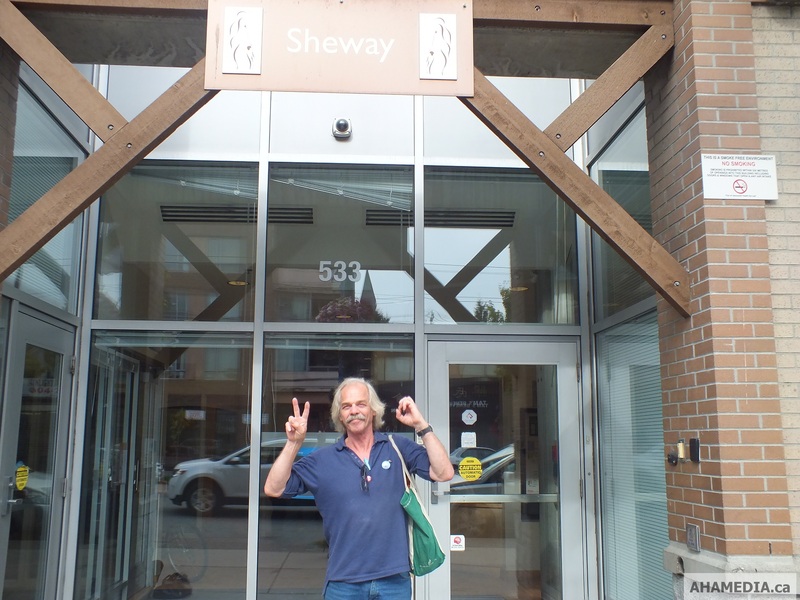 Sheway is a Coast Salish word meaning “Growth”.